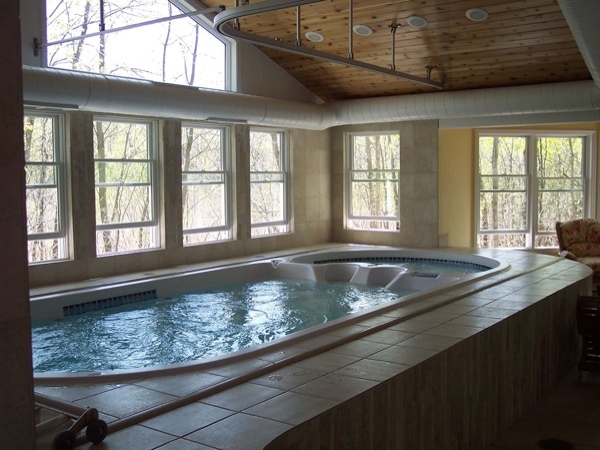 Dimension One offers a Swim Spa through their Aquatic Fitness System (AFS) brand. 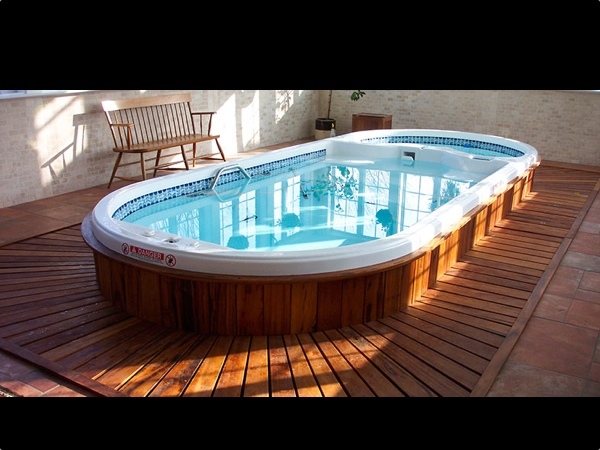 The Aquatic Fitness System Swim Spa is an amazing exercise machine designed to accommodate all of your aquatic needs. Use AFS to swim, walk, run, stretch, row, strength train and more. Designed for both exercise and relaxation, with a Dimension One Swim Spa, you can become more vibrant, fit and relaxed than ever before. A Dimension One Swim Spa is fun, safe and extremely effective for all ages. Imagine exercising in the privacy and comfort of your own home. Dimension One Swim Spas differ from their competition with their passion for excellence, innovation and customer service. Aquatic Fitness Systems was unveiled in 2002 to establish Dimension One as the leader in the aquatic fitness and exercise industry. As part of their focus on fitness, they offer hydrosport fitness gear for advance circuit training. With this equipment, you get a workout better than the finest health club can offer. For over 30 years Dimension One has been delivering happiness. When your body feels better you feel better. Welcome to the fountain of youth. AquaFit Sport (156"x92"x52") - The Sport combines powerful swim jets with cross-training equipment. AquaFit Pro (228"x90"x62") - Offers all of the benefits of the Sport in a larger vessel with more room to exercise, relax and have fun. 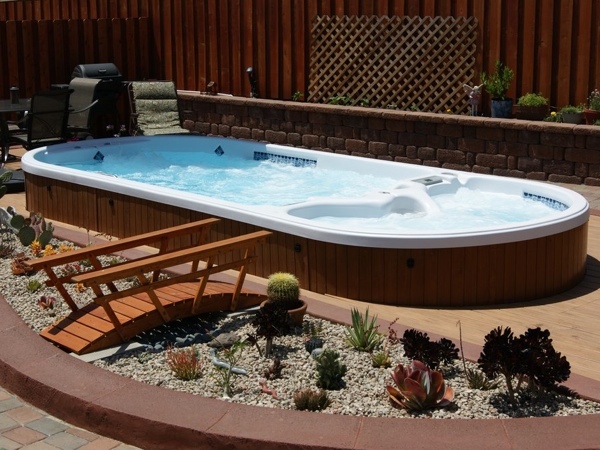 AquaFit Play (192"x90"x52") - The perfect small pool for you and your family. AquaFit Plus (228"x90"x52") - The ultimate hybrid of fitness and fun. 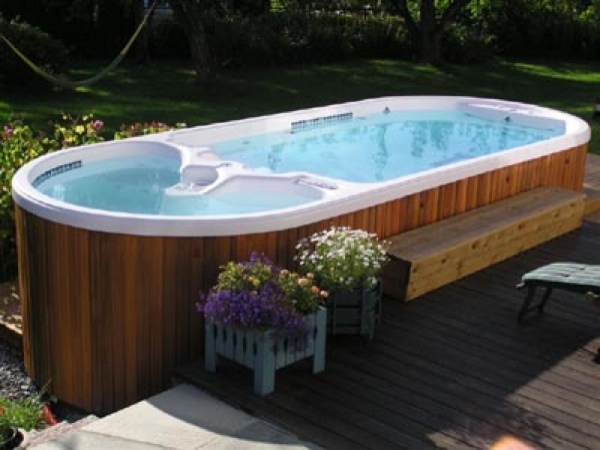 The dual temp separation provides the ideal swim area combined with a luxurious hot tub.